We have an amazing menu with help from local Chef extraordinaire Sean Paxton. You may not be a football fan, but you can still get a big-league breakfast, see you there! 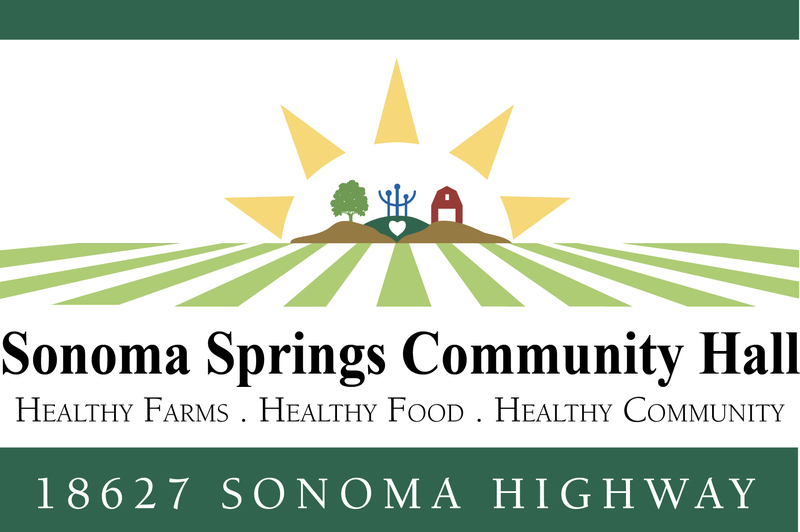 Everyone is invited to attend the Veteran’s Day pancake breakfast at the Sonoma Springs Community Hall (formerly known as the Grange). Join your neighbors in an event that is always fun and filling. Take the opportunity to join or renew your membership, $45 for an individual or $65 for a couple of family. People who join or renew at the breakfast eat free, as do veterans. See you there! Artist Randy Sue Collins, original creator of the Springs Hall mural along with Michael Acker, at work renovating. The impact of sun, soot, and water have made this a regular event for this popular community mural. Spring Up Market at the Springs Hall Sunday April 29th 9:-1:, with plant starts, local agricultural products, and excellent food from the Divewalk Cafe! Come out and commune with your neighbors, check out your local Hall, and become a member!